There was a time I read one fantasy fiction after another. New worlds , strange powers , similar tales of opression and ego pited against resolve of few souls who are obsessed to die rather than live as slaves. 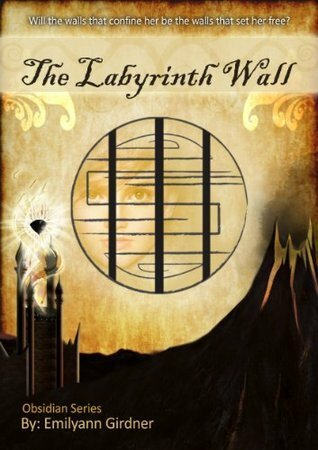 The labyrinth Wall, the first book of obsidian series is about Ariana who is a Mahk and her attempt to escape the labyrinth, the only home she hs known since she was created. Her creators produce Mahk and assign them serial number like some factory producing machines and leave them to live as they want. In land of no clran water and no food, collecting obsidian for creators or killing fellow Mahk for snatching their food is the only life Ariana has seen. Of course she never kills anyone but has stolen enough imes and being beaten too. One day she sees a man emerge out of one of the walls of the labyrinth and that gives her hope of a better wprld on the other side. Thus begins her adventures where she meets other Mahk , a creator gaurd and 2 strangers too. With such eccentric company , she can not decide whom to trust and how much. What kept me glued to the book was the details and layers that make the labyrinth come alive for the readers. One can easily imagine the nooks and corners of this dark land and hope for success of the few brave souls running against time and creators. There are no loopholes in the setting of thisnworld and actions of the resident but the book has too many questions that remain untouched for the reader. The book does not ends on cliffhanger note but neither it will leave you satisfied. That probably is something that disappointed me a little bit. Or perhaps i like to be made a little impatient for next part. The author has done real good job in developing the characters and showong both their good and mysterious sides. The action scenes are neither messy nor plain. Andsome interactions actully make you question if this really is a fantasy.